The Home Guard, set up in May 1940, was a voluntary defence force in the Second World War tasked with being the first bulwark against an invading German army. In a broadcast on the 14th May, Anthony Eden, the government figure who initiated the Home Guard – Or the ‘Local Defence Volunteers’ as the organisation was called at its inception- called for the ‘countless’ men who were unable to fight at the front due to age, having employment in a protected occupation or because of medical reasons, to volunteer for this new civilian force. Britain, in the grip of invasion fear after the fall of France, heeded Mr. Eden’s call and 250,000 men – the size of the peacetime British Army – volunteered at their nearest police station within the first twenty-four hours. The Home Guard continued to grow in terms of numbers, organisation and weaponry until it was stood down with much pomp and ceremony in December 1944 when the government decided that such a defence force was no longer required following the surrender of Nazi Germany. Most in Britain are aware of the Home Guard through the iconic BBC Sitcom Dad’s Army. Dad’s Army, first broadcast in 1968 and lasting for eighty episodes in total until 1975, was the brainchild of producer Jimmy Perry. Perry served in the Home Guard as a teenager and was keen to make a comedy series about the odd and eccentric characters that he had encountered during his service in his local platoon. What Perry created has entered popular memory and shaped perceptions and recall of the Home Guard in a way that is hard to find elsewhere. As historian of the Home Guard, S. P. Mackenzie, states: ‘Television, in short, has shaped popular memory’. This is crucial for two reasons. First of all the Home Guard is now remembered as a strictly ‘male’ enterprise as a consequence of the cultural purchase of Perry’s show. After all, it is ‘Dad’s’ Army; an interpretation perpetrated by the various histories of the Home Guard available. Norman Longmate’s 1974 volume is titled ‘The Real Dad’s Army’, David Carroll’s 2002 book is titled ‘Dad’s Army: The Home Guard, 1940-1944’. The proliferation of the idea that the Home Guard was ‘Dad’s’ Army seeps into the personal recall of the men who were involved. Searching through the archives of oral testimonies available at the Imperial War Museum finds men constantly referring their experiences to the show. Their Captain ‘was like Captain Mainwaring of Dad’s Army’, and they often had ‘fun and games like in Dad’s Army’. Elision is frequent; ‘I served in the Home Guard or the Dad’s Army’ states one recruit bluntly. The consequence of the Home Guard being defined as solely ‘male’ in popular memory is that it ignores the participation and contribution of women within its ranks. The author must confess to being surprised at hearing that women not only served in the Home Guard in ‘auxiliary positions’, such as serving as cooks, runners or telephone operators, but also fired weapons and wore uniforms the same as the men in many local units. This is a fact that many will find similarly surprising and is related to the representations through which we accrue our knowledge of the Home Guard. It would be erroneous to state that Dad’s Army does not consider the participation of women in the Home Guard at all. Female participants are featured in one episode, ‘Mum’s Army’. In this episode three female recruits join the Walmington-on-Sea platoon, but only serve to act as a distraction for the men. Mainwaring attempts an affair with the most patriotic of the trio, Mrs. Gray. The only portrayal of women in the Home Guard in the most significant post-war cultural representation of the force, then, sees them as irrelevant sexualised distractions. This is to trivialise not only the significant contribution that many women made to local Home Guard units, especially during those tense months of 1940-41 when invasion seemed most likely and in some areas male recruits were lacking, but also to overlook the struggle of a number of female campaigners calling for equal rights in civil defence. Most prominent of these campaigners was the Labour M.P. for Fulham West from 1938-1955, Dr. Edith Summerskill. Summerskill was a relentless campaigner for women’s rights. Her pre-war activities saw her at the forefront of several feminist causes, such as abortion reform, equal pay and equal rights for women in work and marriage. Summerskill’s pursuit of equality for women in the Home Guard was similarly dogged. She constantly interrogated the War Office on why women had been banned from participation in the Home Guard in 1941 and heckled Sir. Edward Grigg, Secretary of State for war, during his speeches in Parliament. Despite the ban many local units still utilised the services of women and, aware that their prohibition was having little affect, the government was forced to back down in 1943. 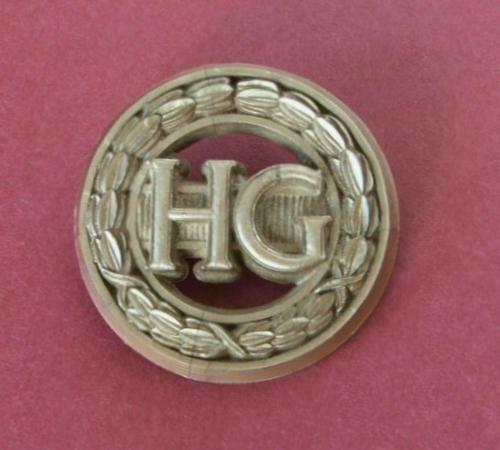 The government’s acceptance of ‘nominated women’ in the Home Guard was qualified however, they were still not to be trained in the use of firearms and were to wear a ‘broach’ instead of a uniform. Summerskill continued to fight for equality on this slight to female members but the war ended before the issue was resolved to her satisfaction. Nonetheless, it is because of Summerskill and other campaigners, such as Dame Helen Gwynne-Vaughan, that women were recognised at all. Summerskill and Gwynne-Vaughan successfully managed to secure a letter of thanks from King George VI that was similar to the one male members received on standing down in 1944. The story of women and the Home Guard is one that is finally being unearthed beneath the solely male understanding of the force that has largely been proliferated by Dad’s Army. Historians such as Penny Summerfield and Corinna Peniston-Bird (Contesting Home Defence: Men, Women and the Home Guard in the Second World War) are shifting the historical spotlight onto the female contribution in the Home Guard and this process will hopefully be furthered by continuing oral history projects. Perhaps with this we will even one day see a ‘Mum’s Army’ TV show, where this host of brave and committed war-time women, will finally get the recognition they deserve. er…that is ‘Stephen’, of course. Mind you the ‘w’ looks quite interesting.